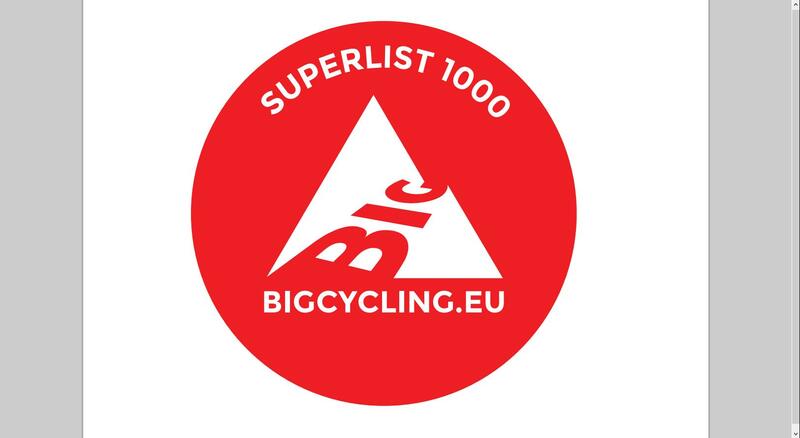 For the last 10 years many of the BIGs from the Superlist have been « stickered » by a number of volunteer members. The set of 1000 stickers that was printed and distributed by the Sticker manager to the volunteers has ended up on the panels indicating the summit of the BIG. And when such a sign was not present, another appropriate place (road sign, information panel) was used whenever possible. Almost all stickered BIGs have been photographed and these photos are presented on the Challenge-BIG.eu website. What are some of the effects of the « stickered » BIGs ? When you arrive on the summit you have the confirmation that you are the next member that joins the group that claimed this BIG. It is nice to realize that even when you are in a far away country, cyclo climbers with the same passion have shared the experience of climbing this BIG. The stickers also give visibility to the Challenge. Just like the BIG clothes. 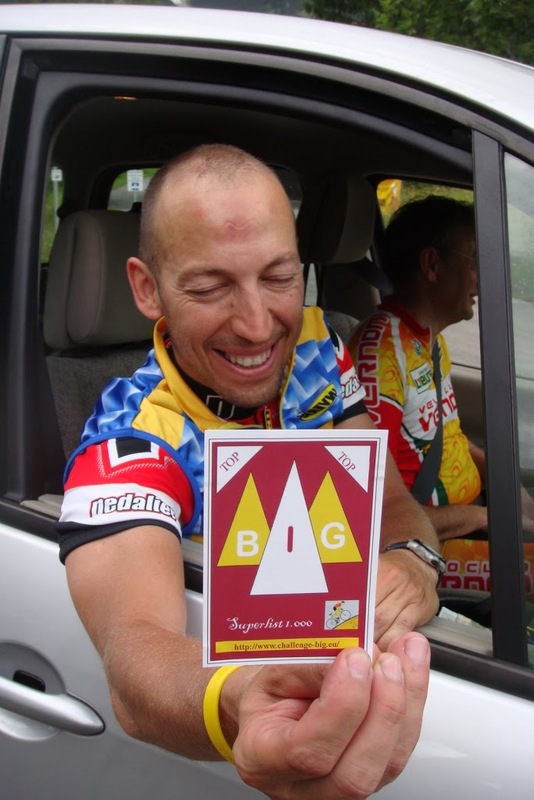 Many climbers became new BIG members after they discovered the sticker on a summit. At the moment almost all stickers that have been printed are used. Now we are waiting for the production of a new stock of stickers, based on the new design and waterproof. When the new stickers are available, the sticker manager will call for the creation of a new group of sticker volunteers.